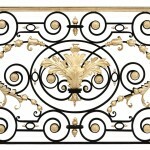 FORGED FENCE «BUCKINGHAM» IS AN EXACT REPLICA OF BUCKINGHAM PALACE’ GUARDS. 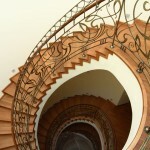 WE HAVE A UNIQUE OPPORTUNITY TO REPRODUCE THIS ARCHITECTURAL MASTERPIECE. 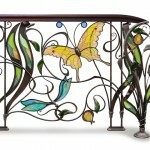 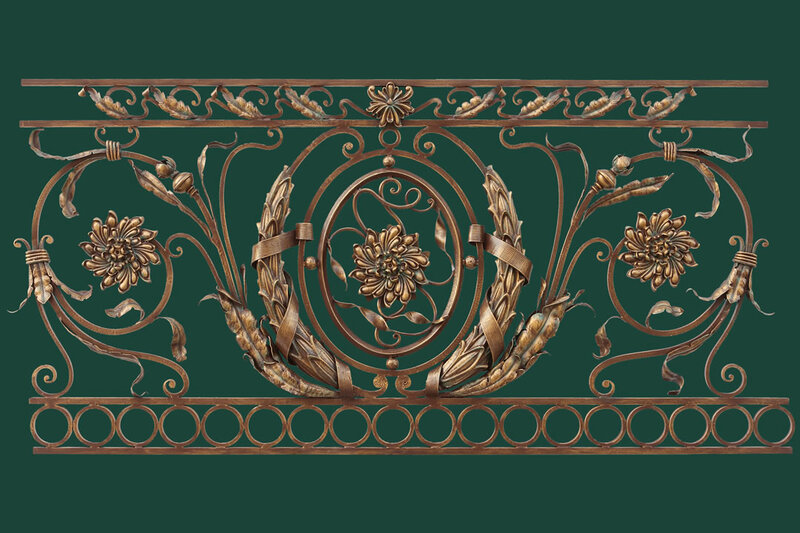 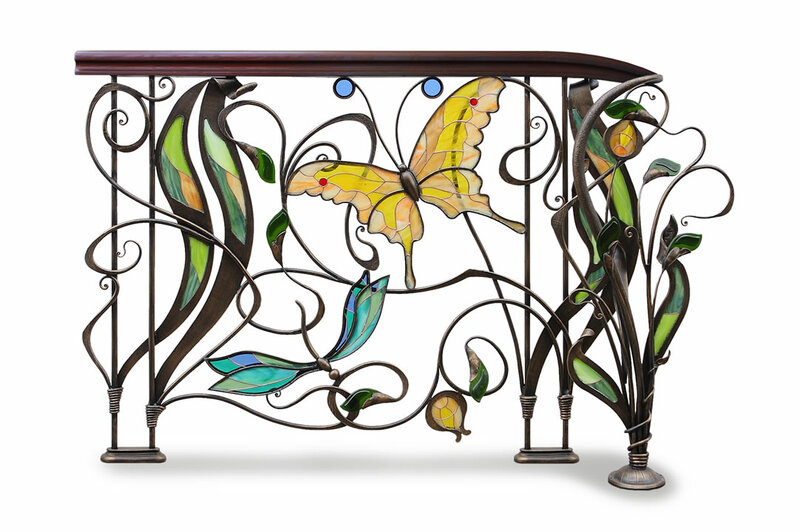 «IRISES» – IS AN AMAZING FENCE IN AN ART DECO STYLE. 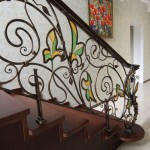 MANY LEADING DESIGNERS AROUND THE WORLD USE “IRISES”, MODIFYING THE BASIC MODEL. 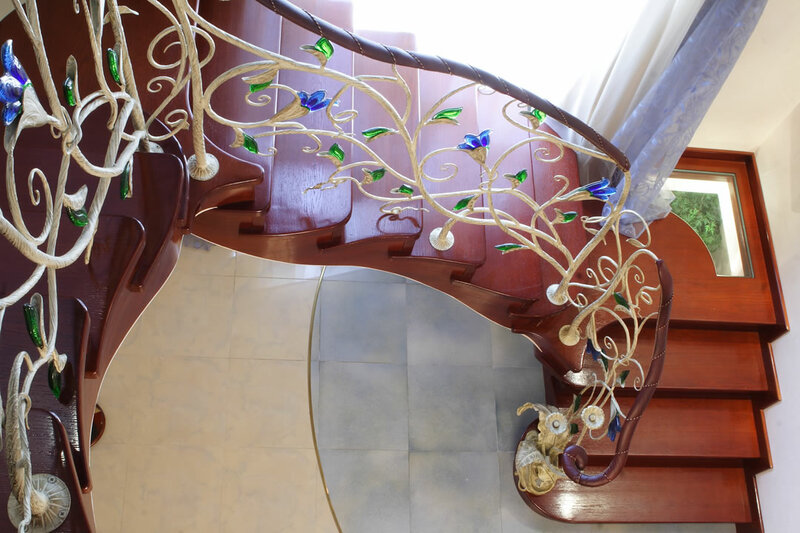 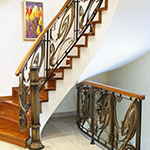 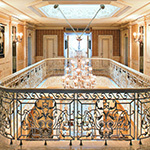 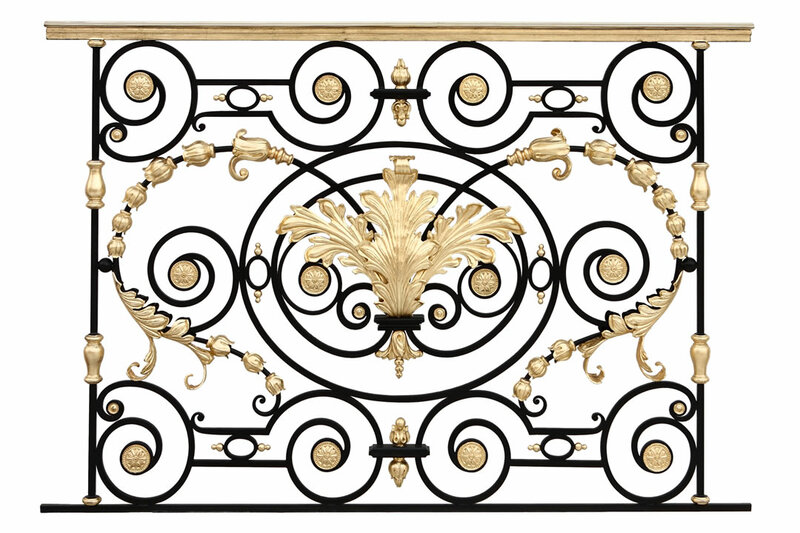 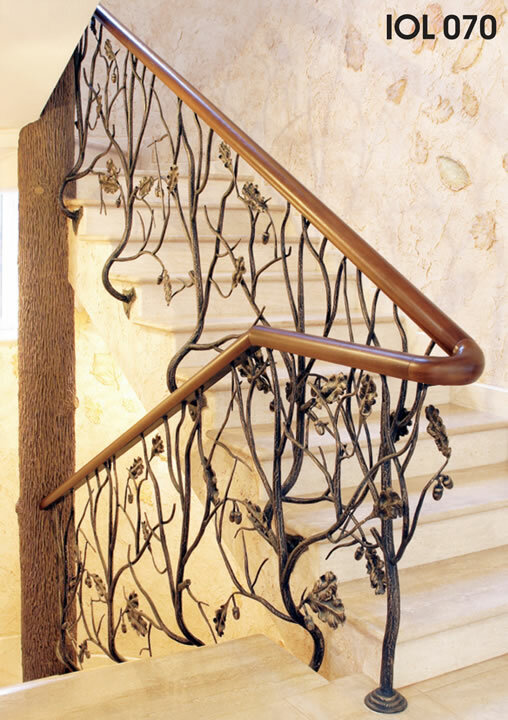 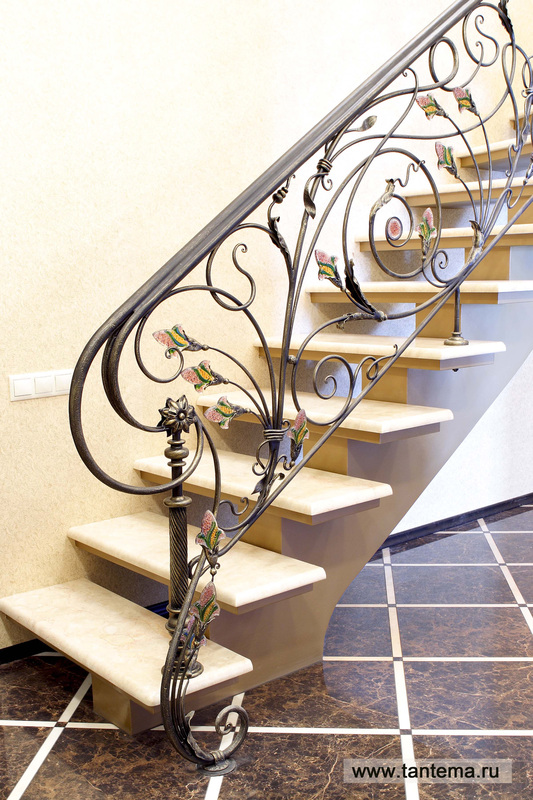 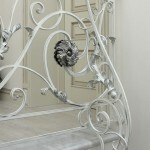 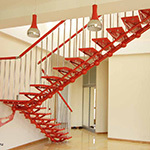 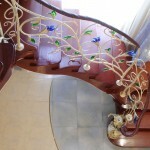 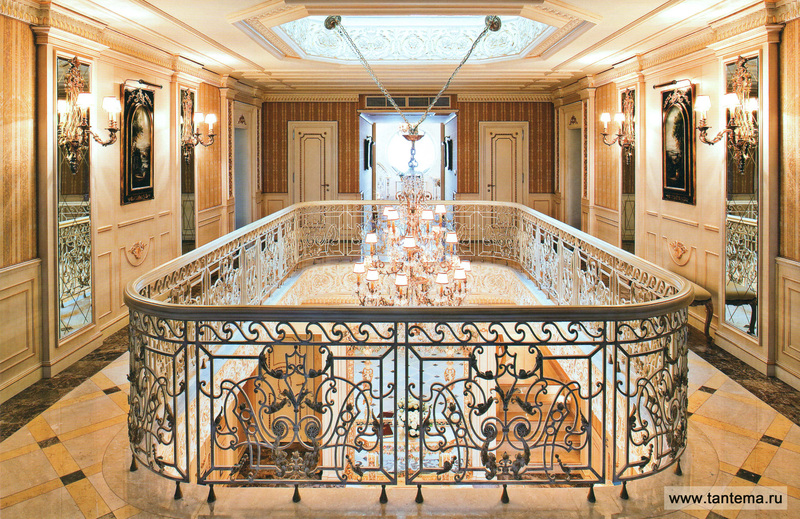 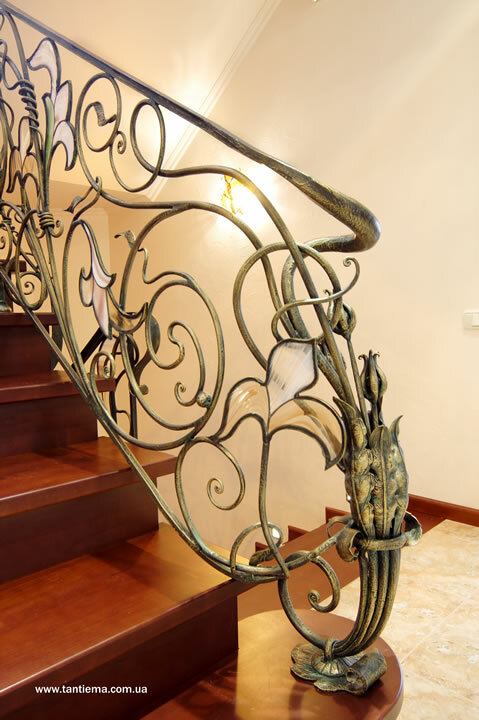 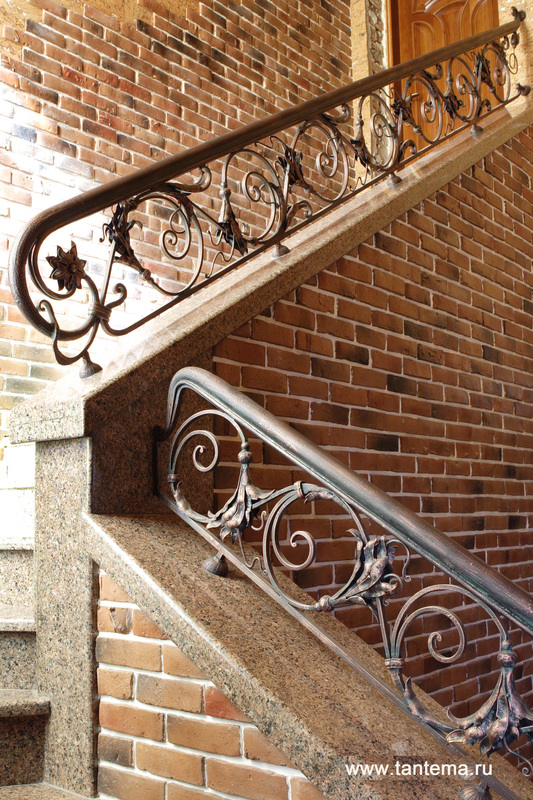 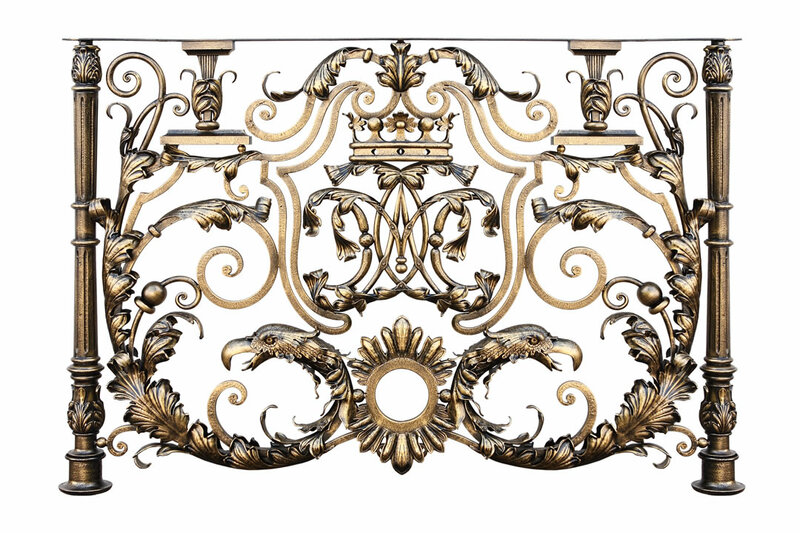 Tantiema’s forged railings and stairs are an infinite number of options for drawing, painting more than 60 variants. 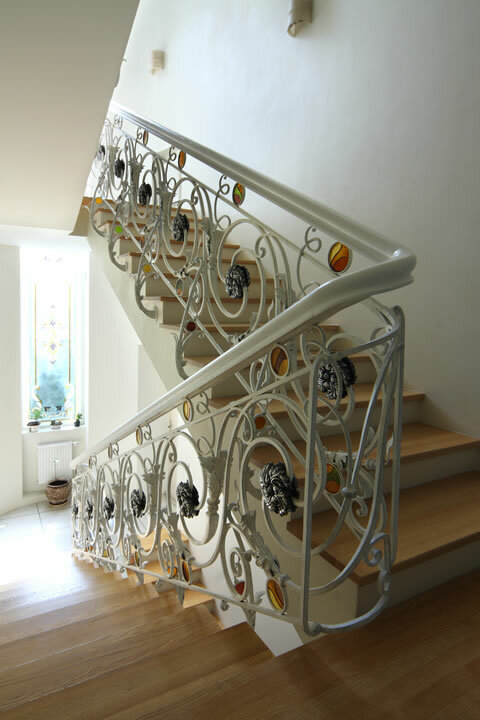 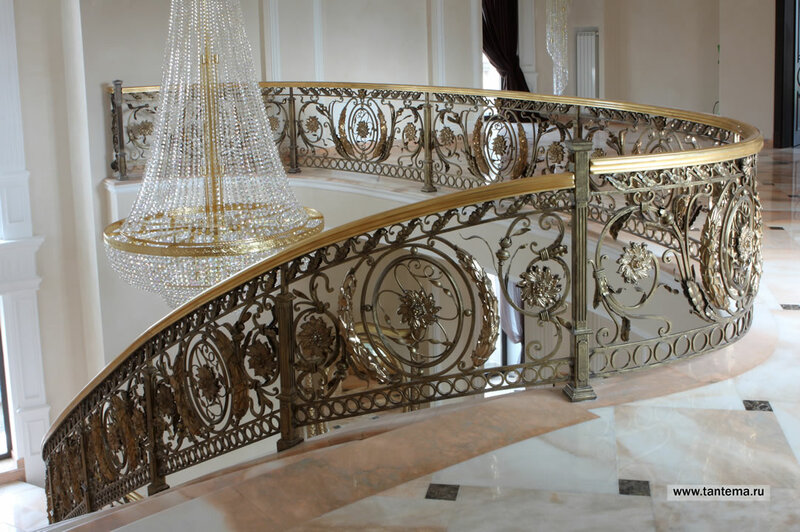 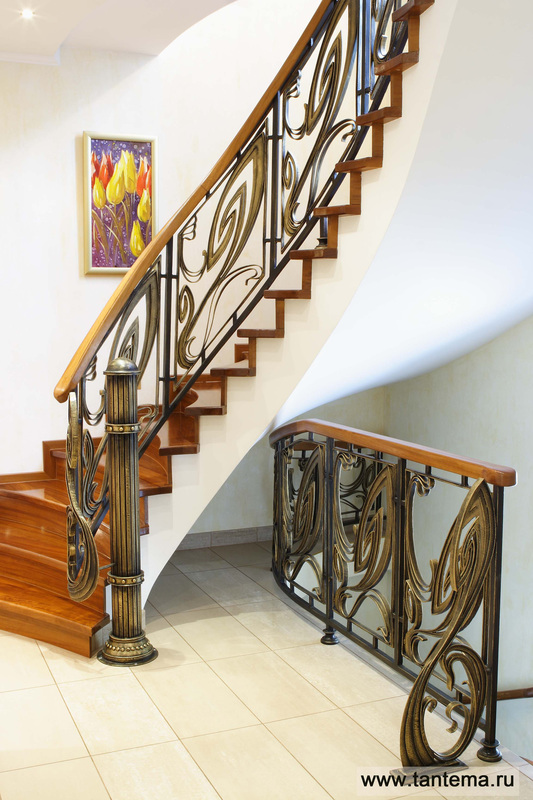 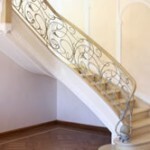 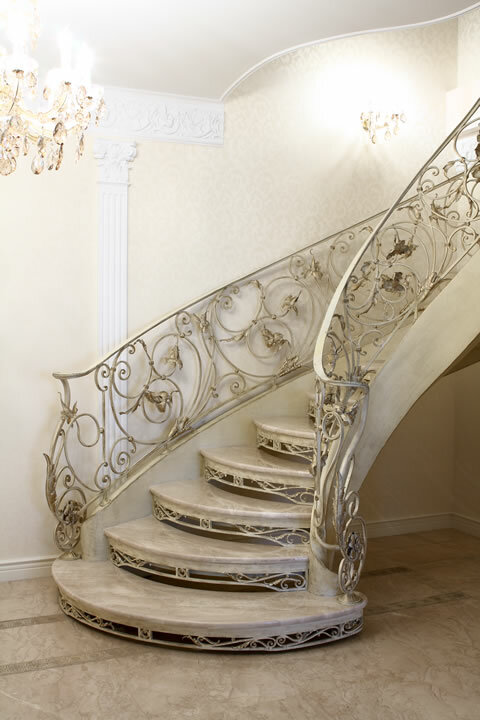 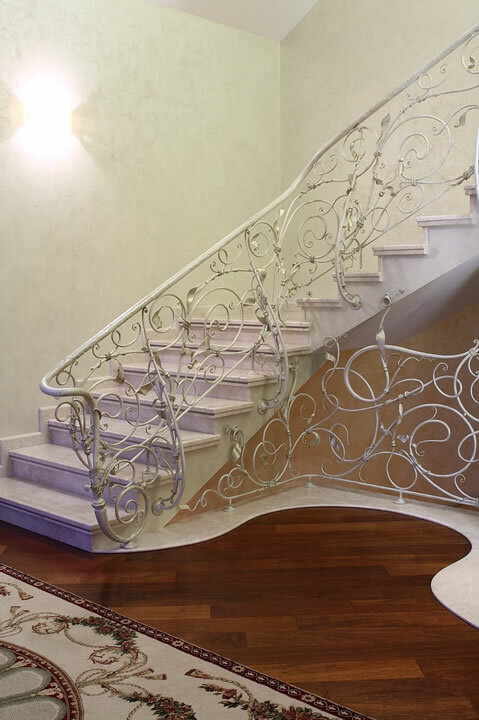 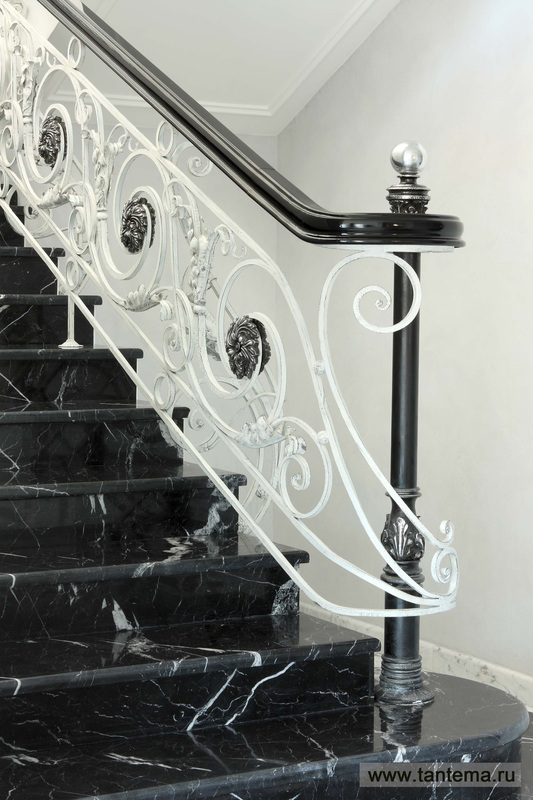 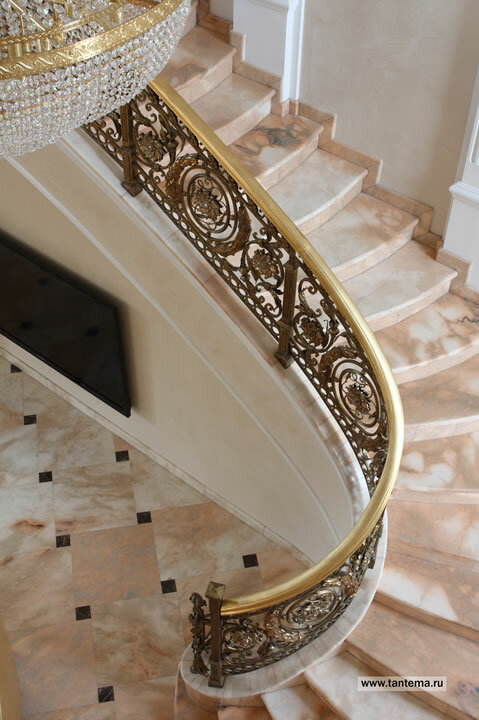 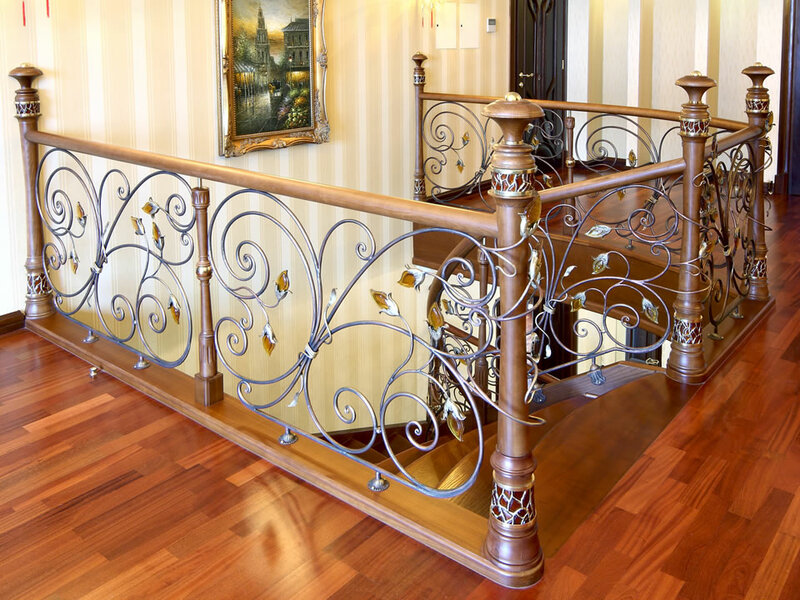 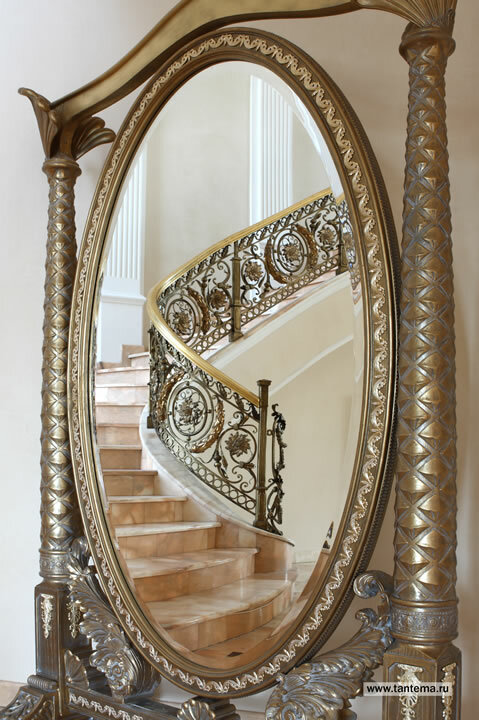 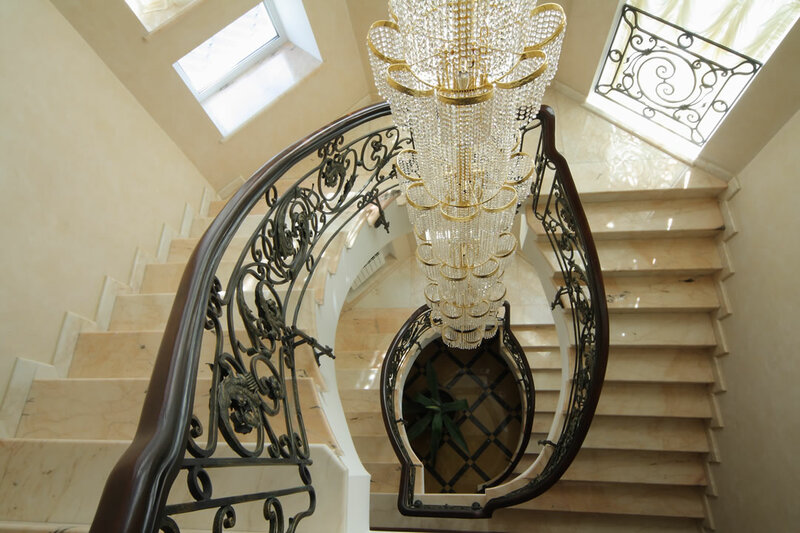 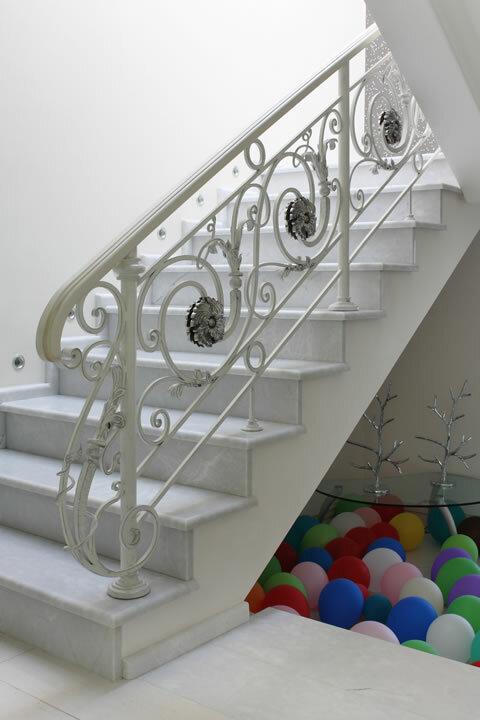 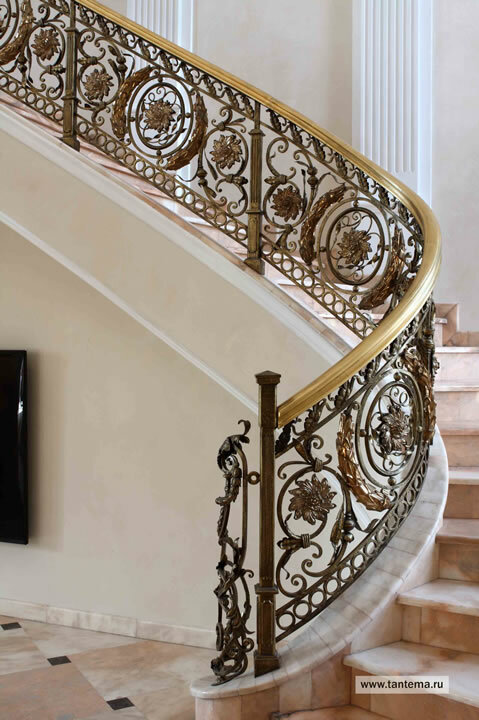 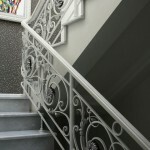 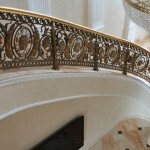 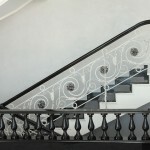 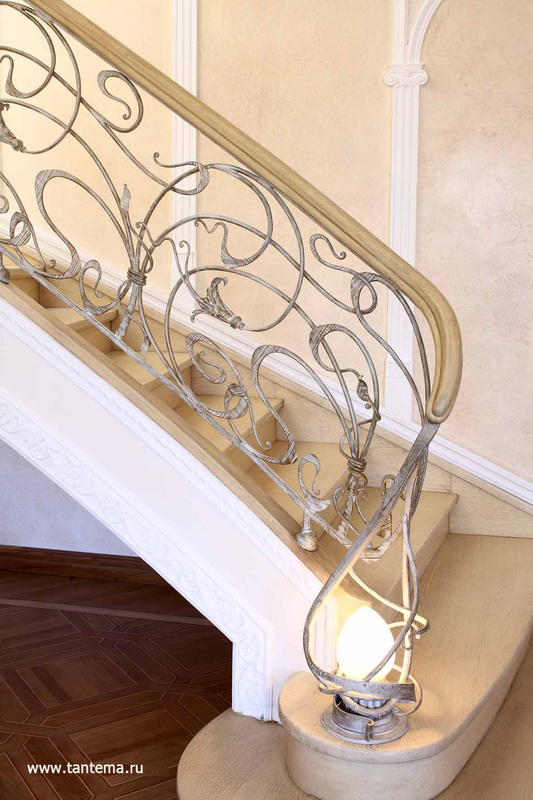 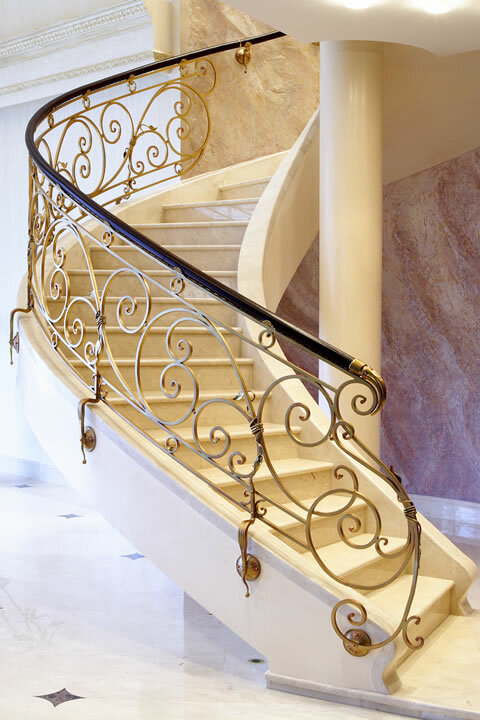 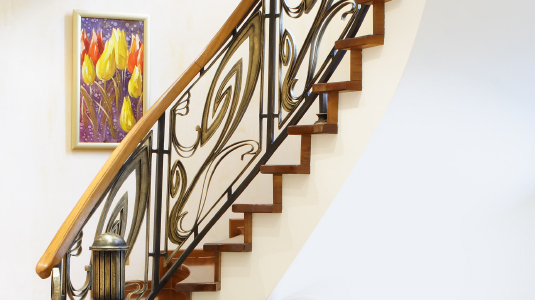 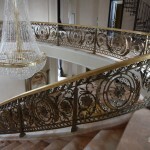 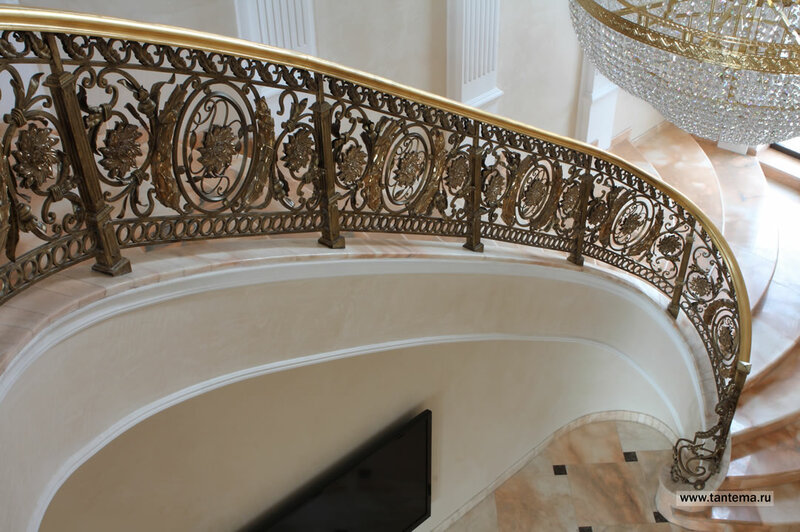 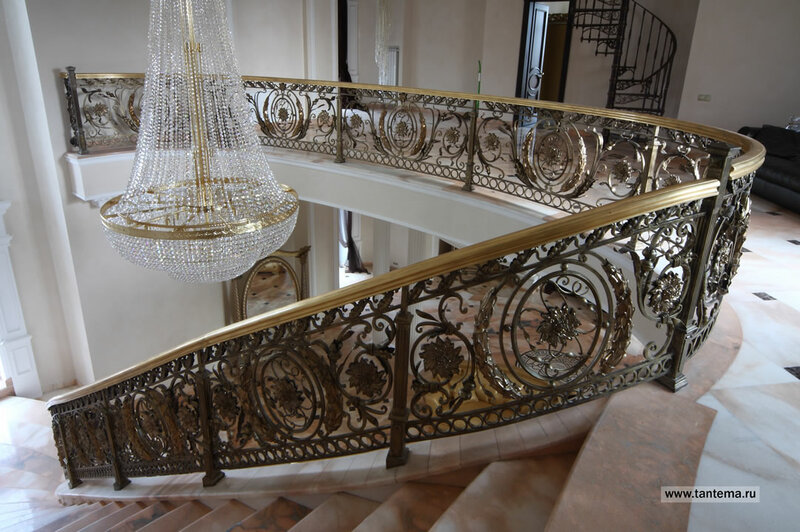 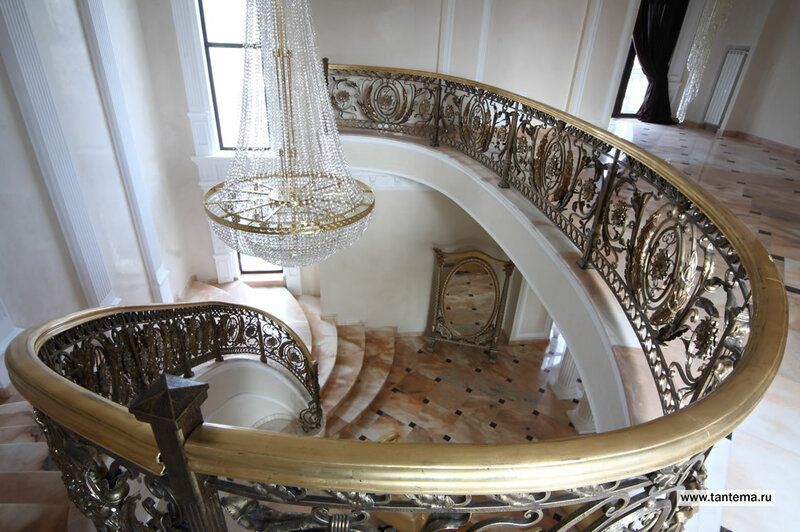 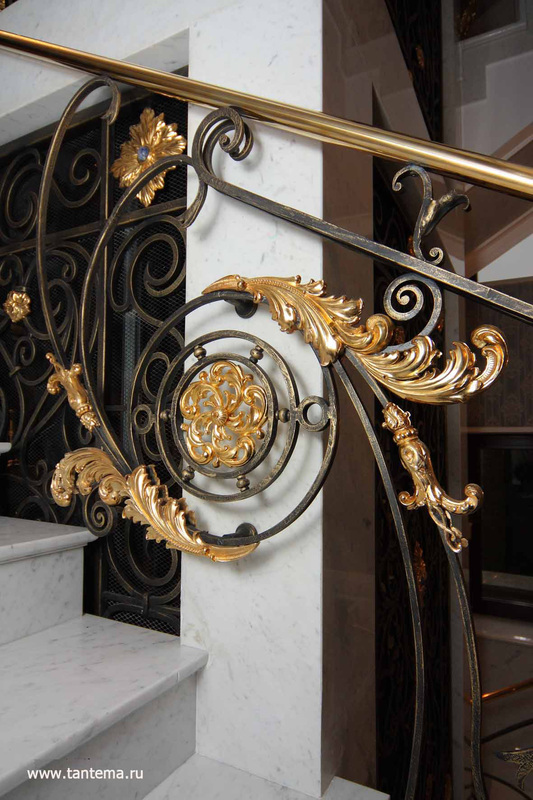 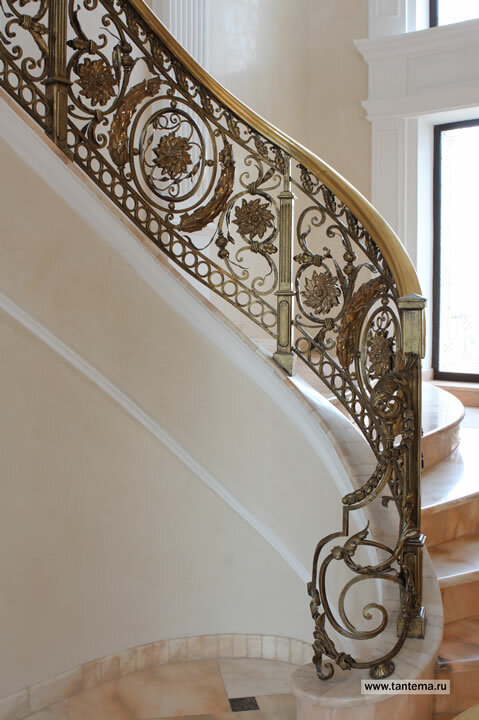 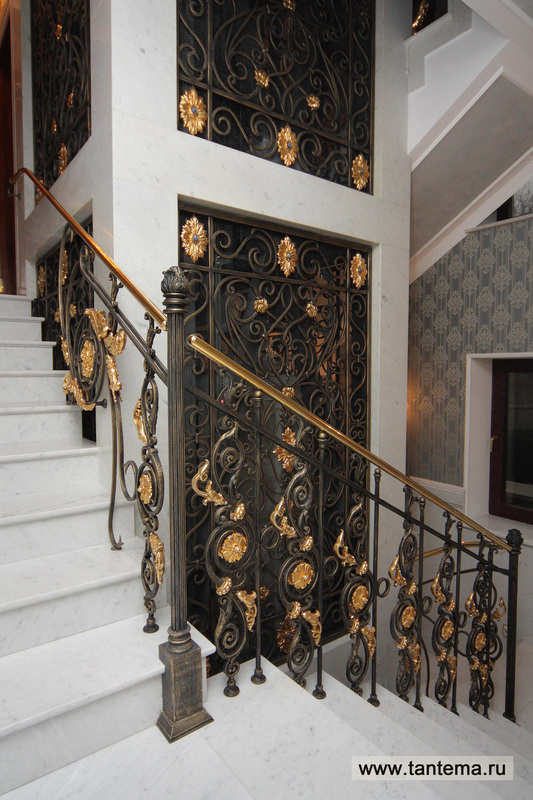 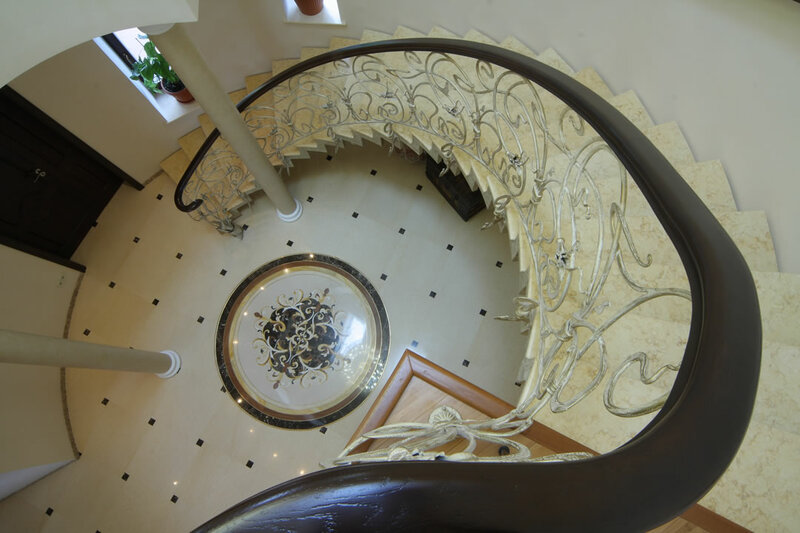 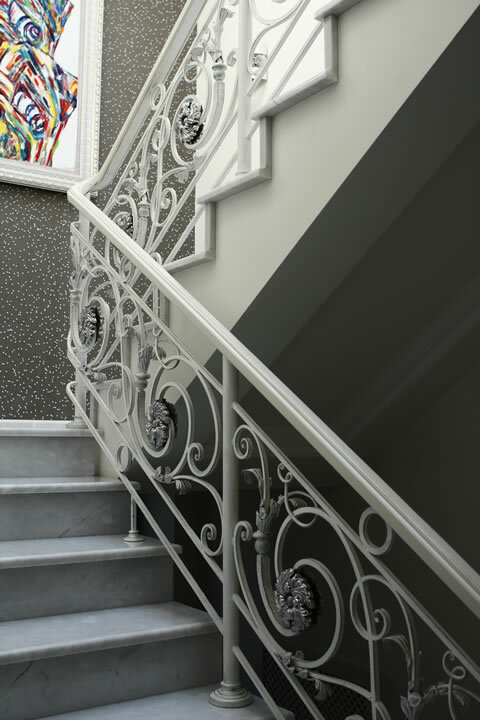 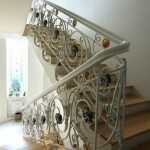 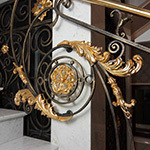 We provide a clean installation of wrought iron staircases and railings, install a metal brass, wooden or marble handrail. 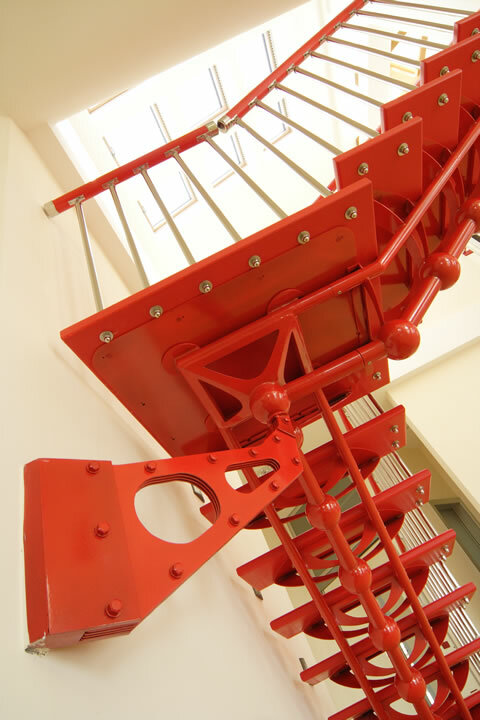 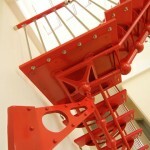 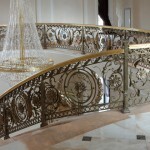 We can offer an individually developed project, and the forging of handrails on your project. 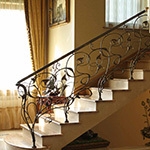 In addition, you can choose a ready-made model. 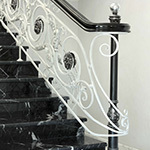 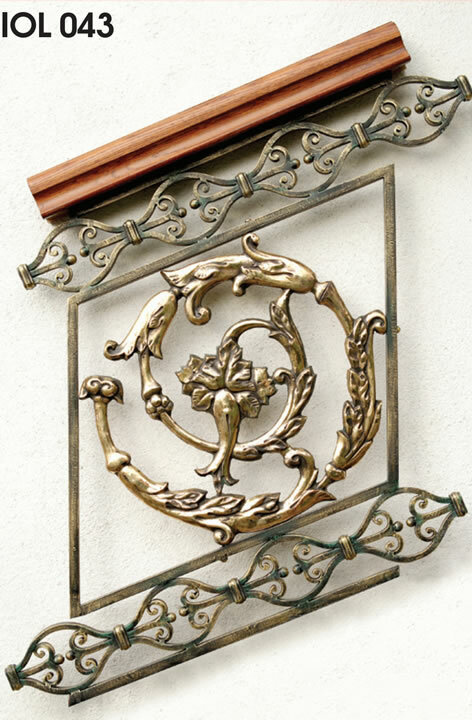 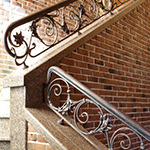 When we will be working with your railings, it will be used patented technology of precision castings. 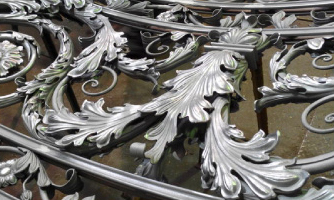 For outdoor fencing will be used galvanizing. 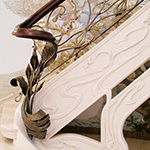 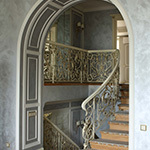 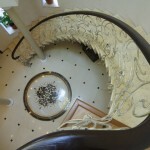 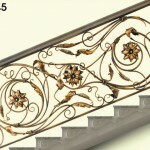 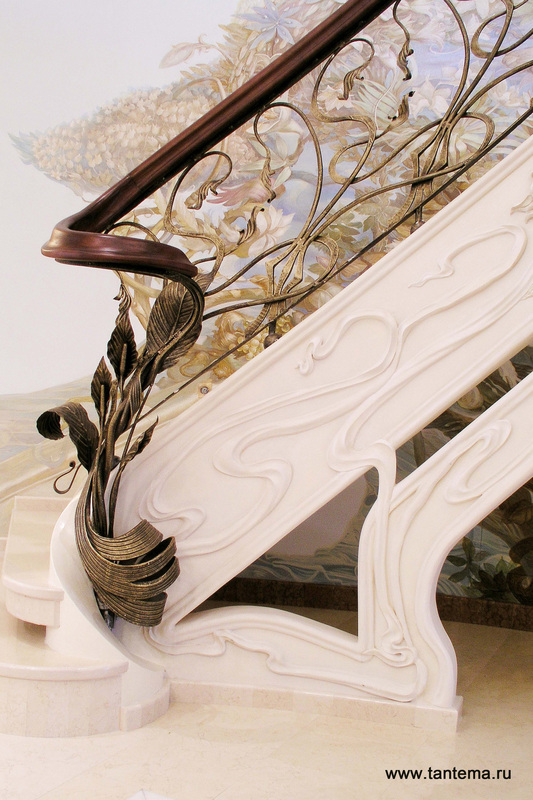 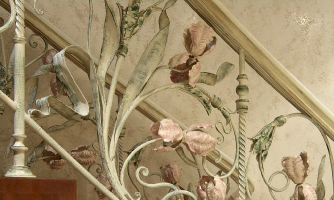 The stairs can be decorated with acanthus leaves. 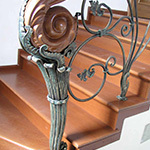 90% of each product – Tantiema’s Hand-forged blacksmith – winner of many international competitions. 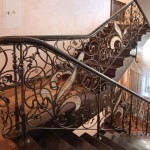 The service life of forged stairs and railing buing in Tantiema – eternity. 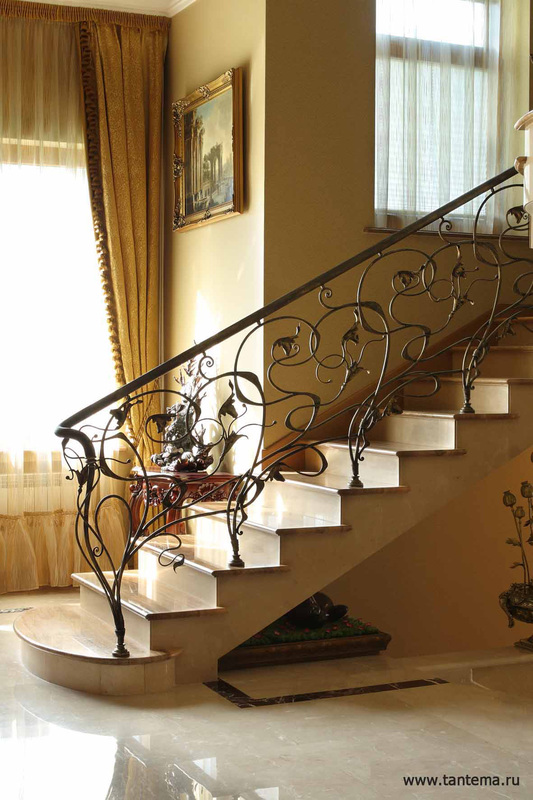 Among the finished product models of Tantiema – recognized masterpieces «Buckingham», «Florence», «Irises». 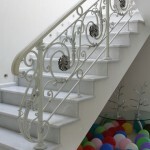 RAILING IS THE NECESSARY AESTHETIC AND PRACTICAL ELEMENT OF THE STAIR. 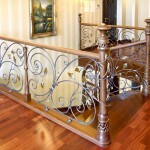 THEY ARE NECESSARY FOR THE SAFETY AND CONVENIENCE, AND FOR A COMPLETE LOOK. 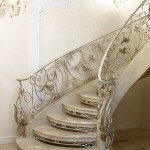 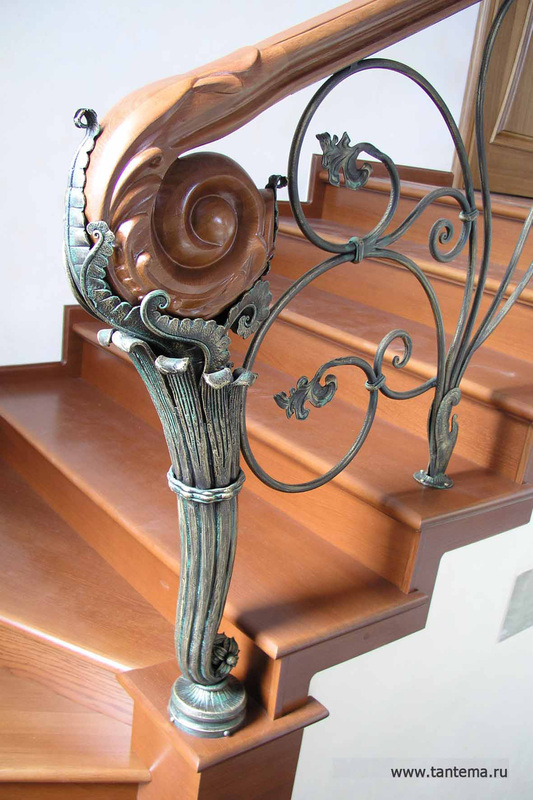 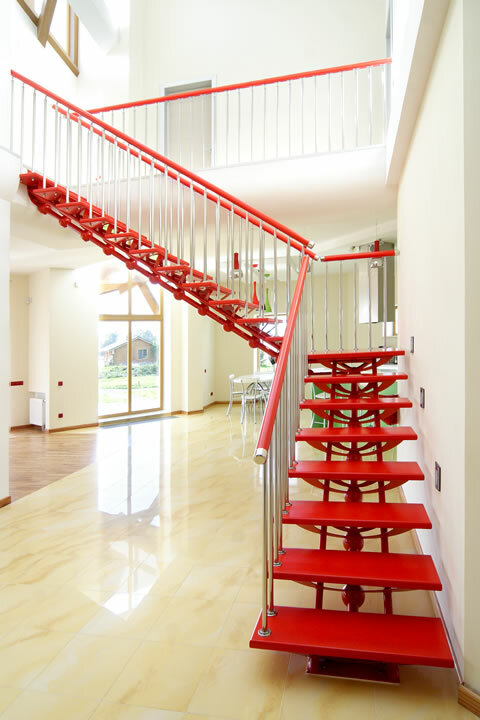 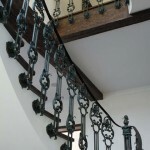 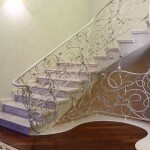 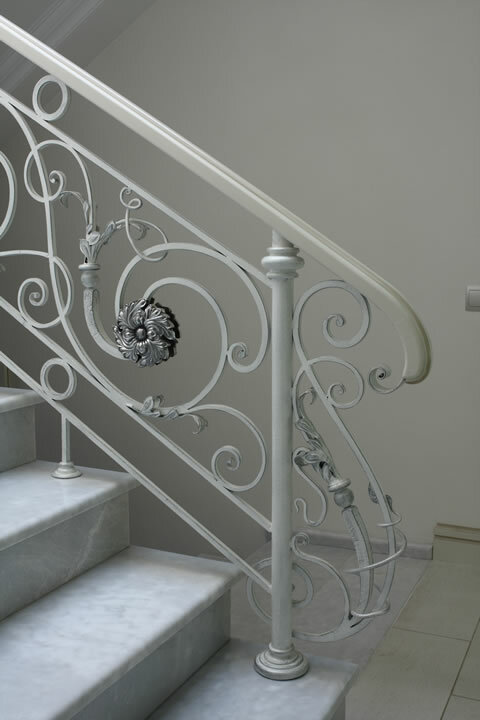 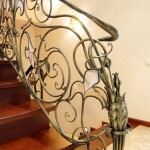 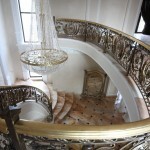 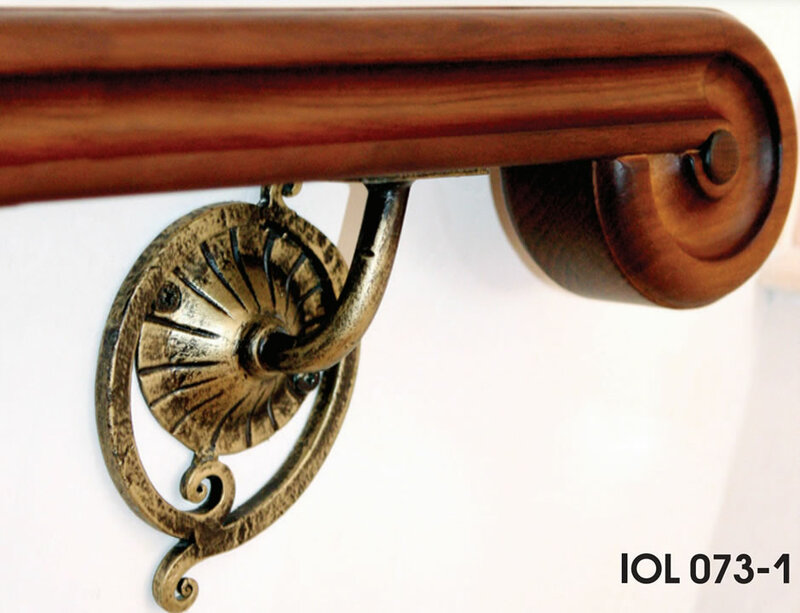 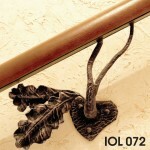 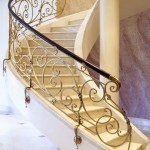 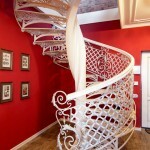 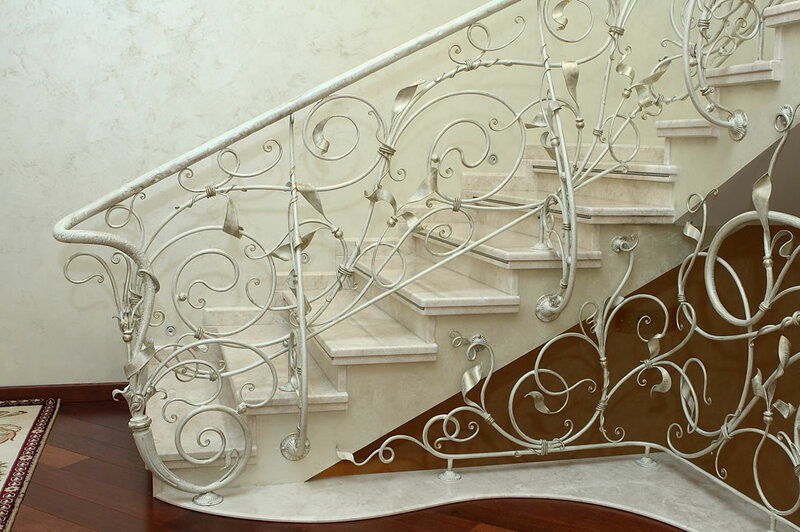 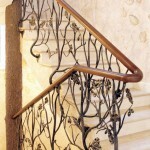 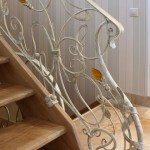 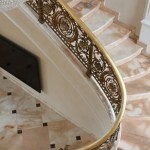 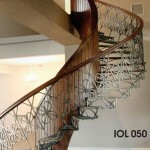 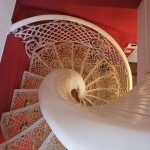 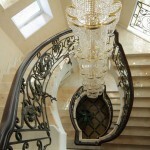 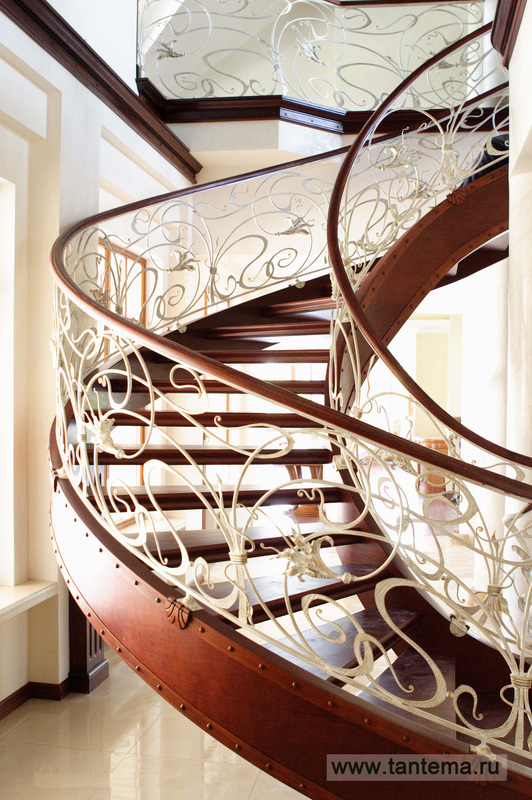 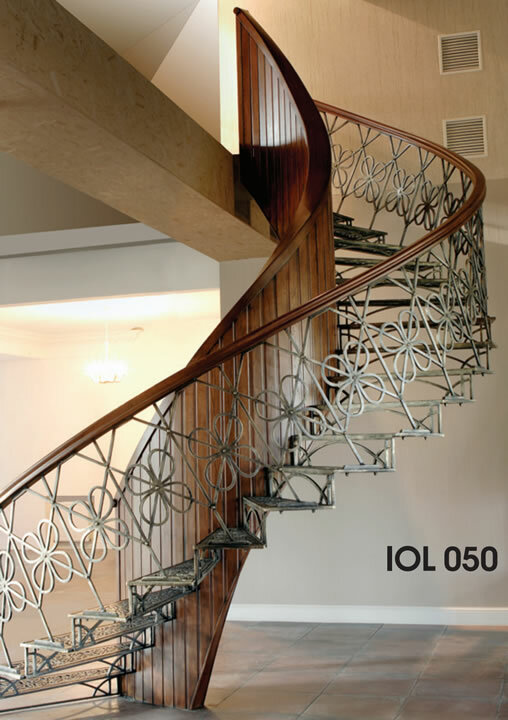 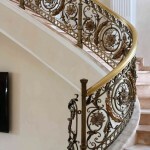 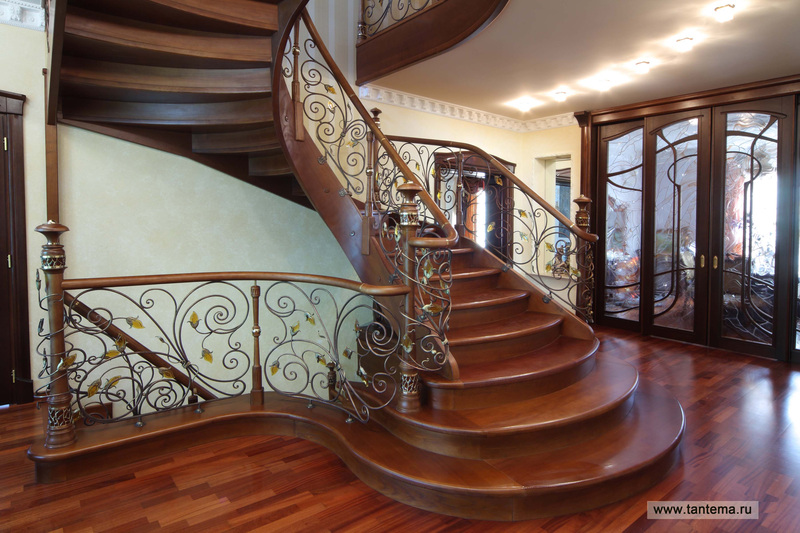 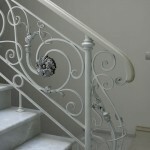 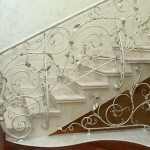 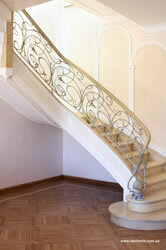 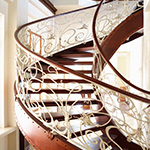 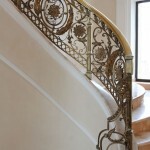 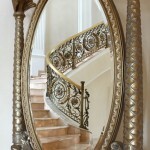 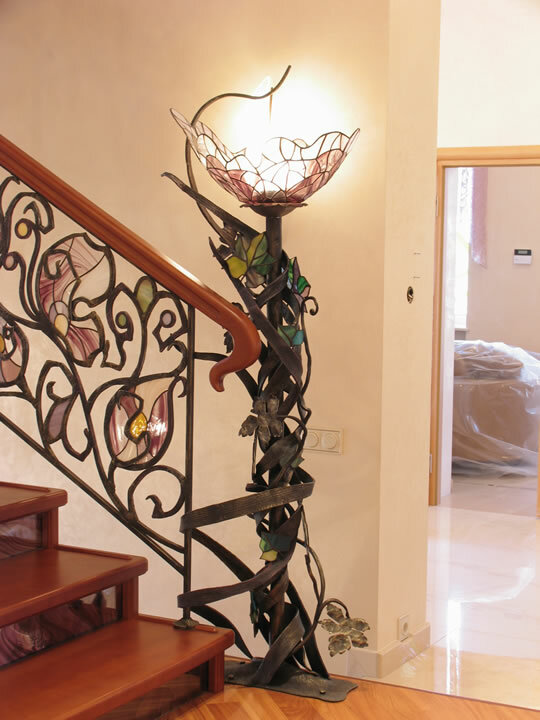 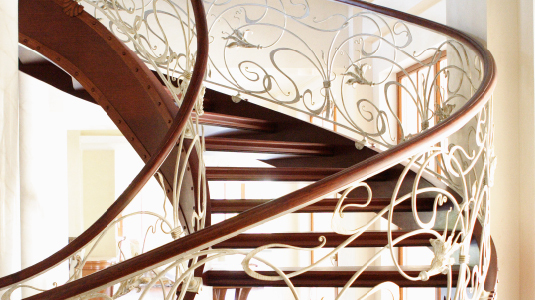 WE DECLARE THAT THE MOST DURABLE AND BEAUTIFUL ARE THE FORGED RAILINGS FOR THE STAIRS. 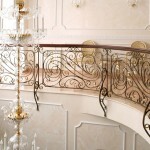 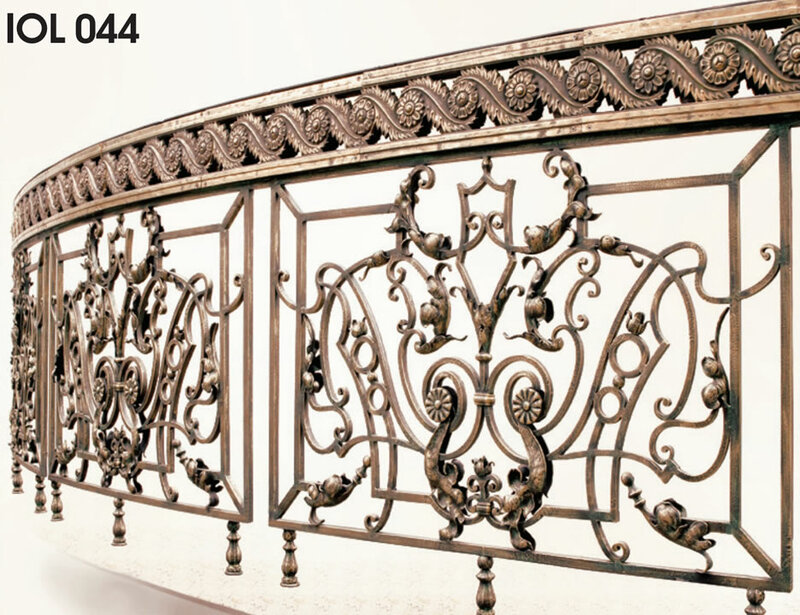 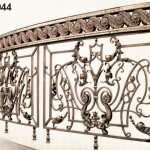 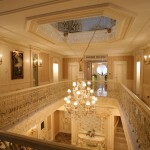 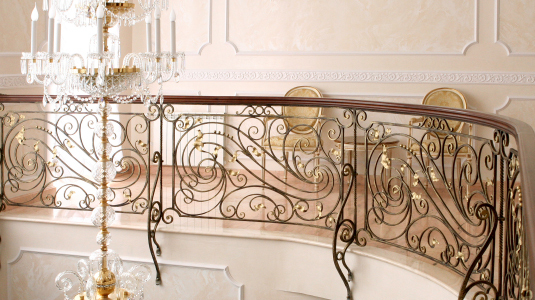 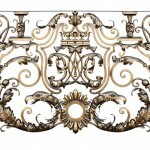 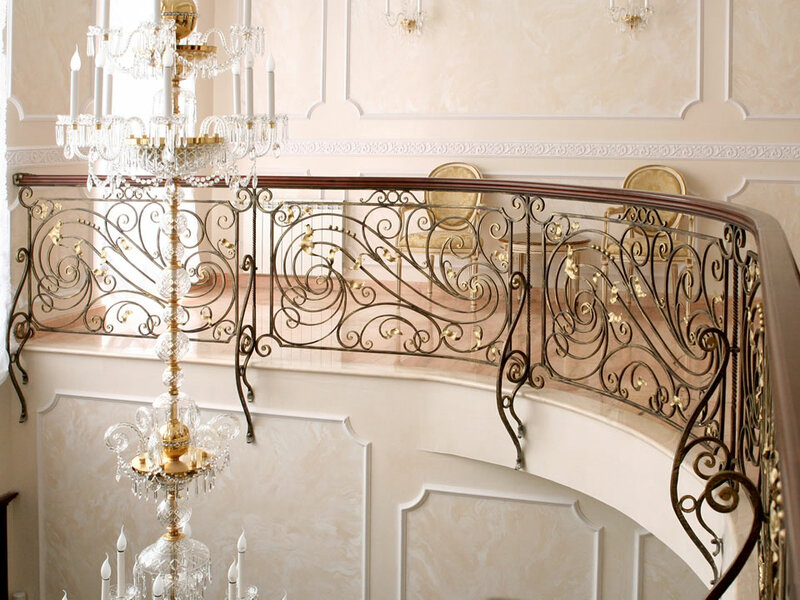 THE FACTORY TANTIEMA IS ONE OF THE BEST MANUFACTURERS OF FORGED RAILING IN KIEV, UKRAINE AND THE CIS. 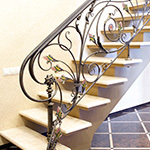 OUR BLACKSMITHS AND DESIGNERS ARE SUCCESSFULLY WORKING ON FORGING STAIRS FOR MORE THAN TWO DECADES. 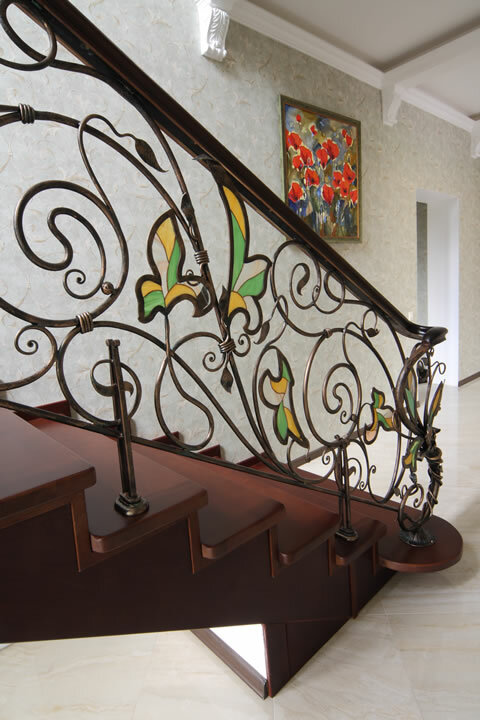 METAL IS INTERESTING BECAUSE IT COMBINES PERFECTLY WITH ANY MATERIALS AND BLENDS HARMONIOUSLY INTO ANY ARCHITECTURAL STYLE. 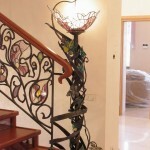 RAILS FORGED BLACKSMITH INDIVIDUAL SKETCH ARE A SIGN OF GOOD TASTE AND WELL-BEING. 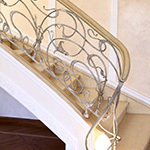 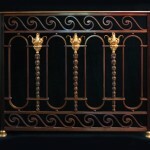 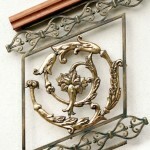 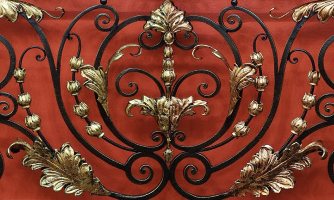 SEE THE PHOTOS OF FORGED RAILING, PRESENTED ON OUR SITE. 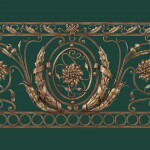 WE PUBLISH ONLY OUR WORK. 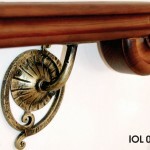 DEVELOPMENT OF INDIVIDUAL PROJECT AFFECTS ON THE COST OF THE PRODUCT NEGLIGIBLE. 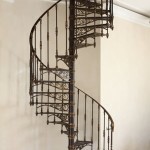 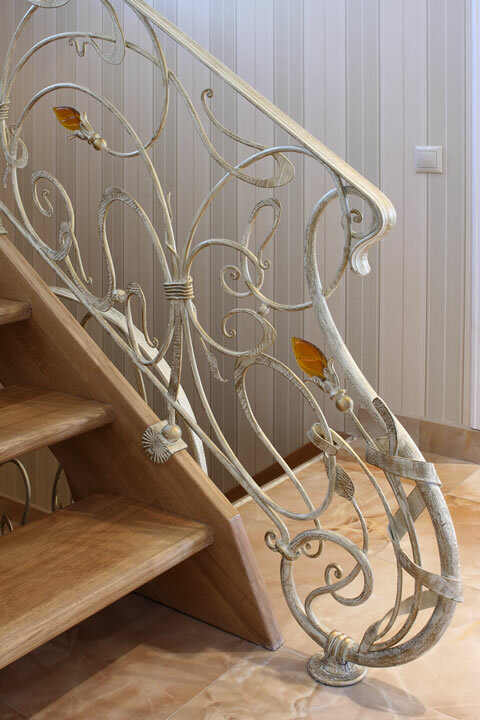 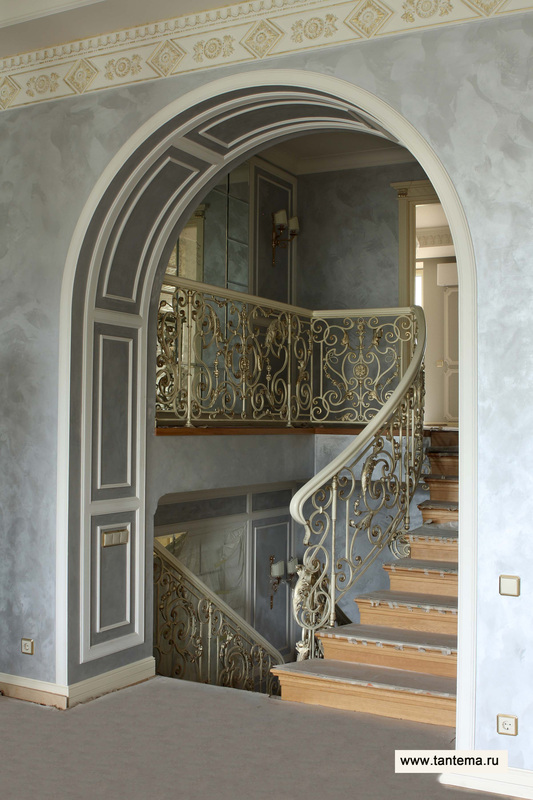 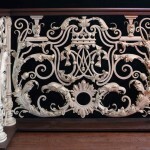 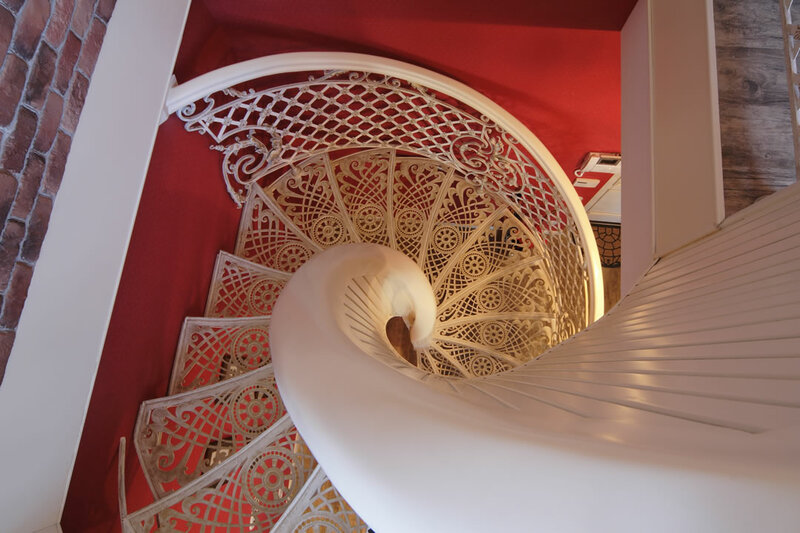 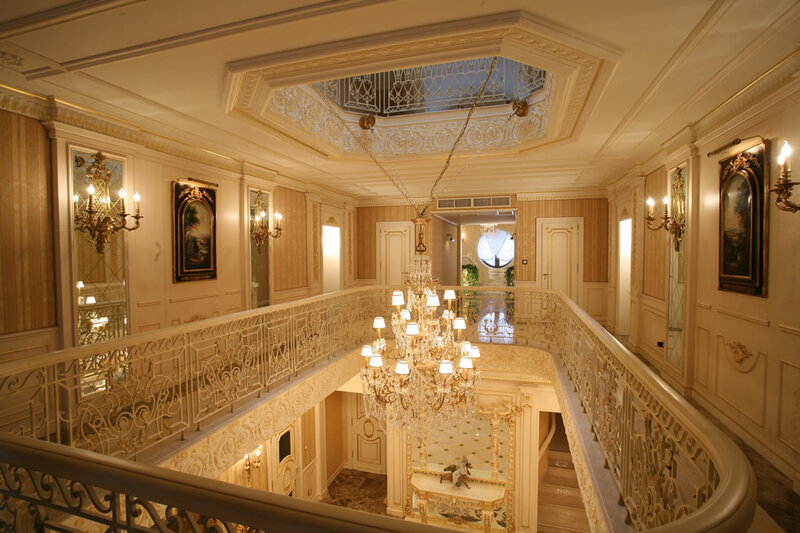 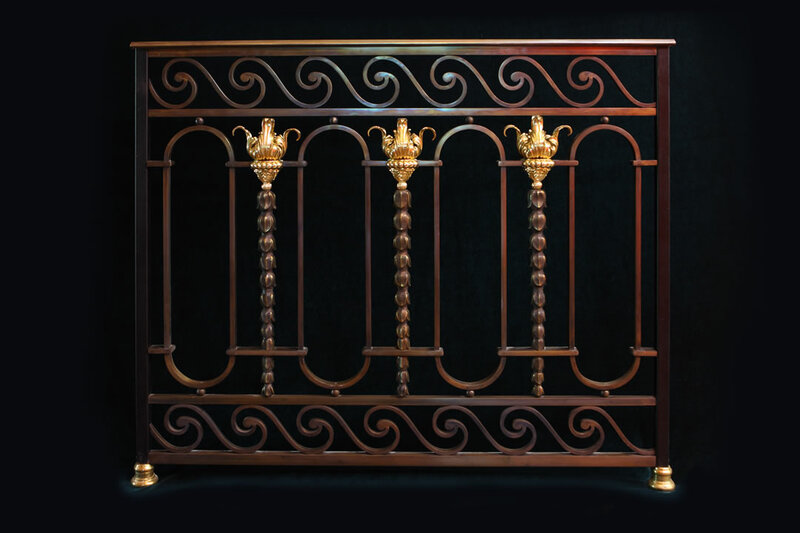 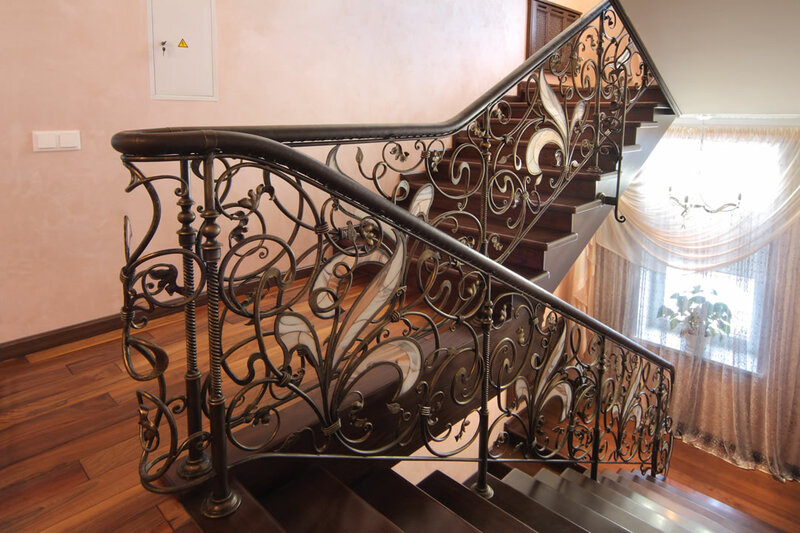 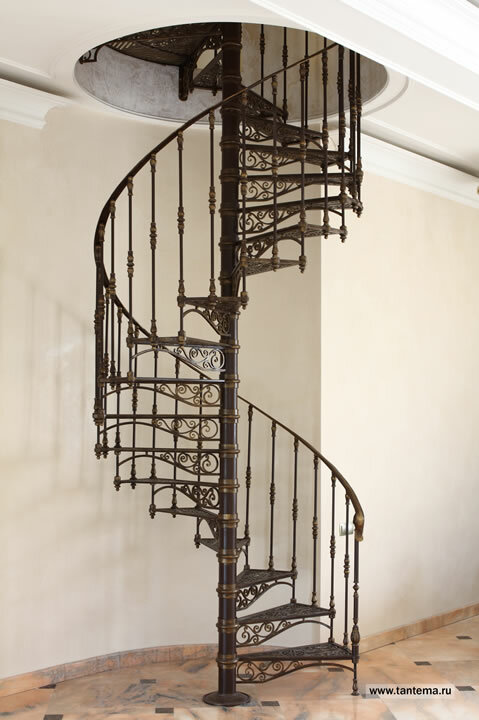 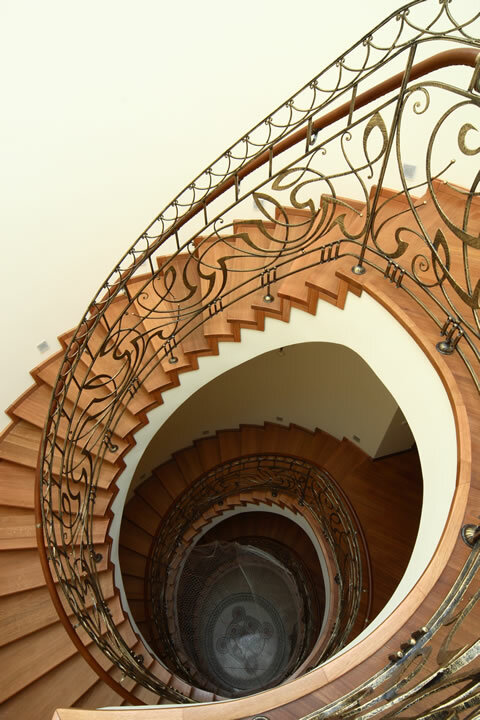 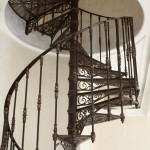 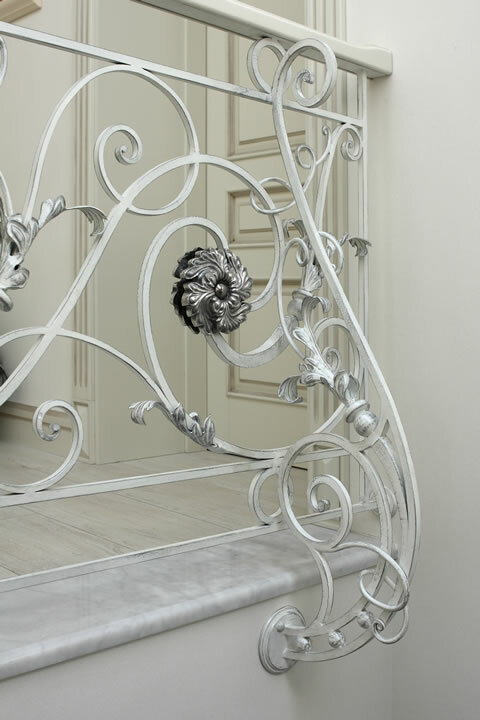 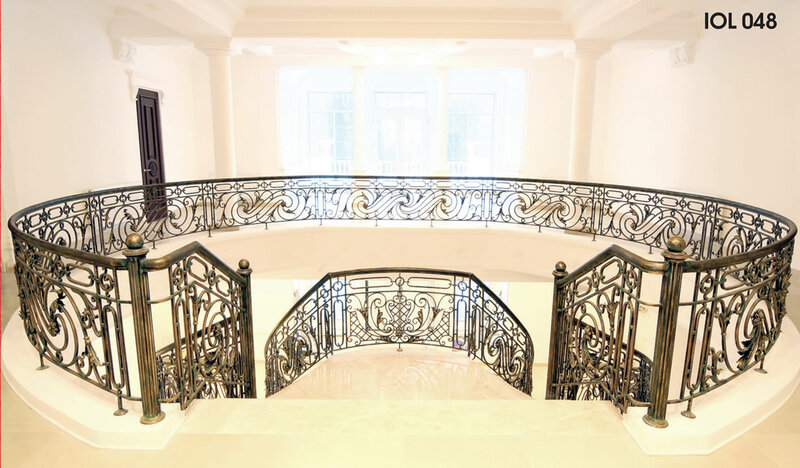 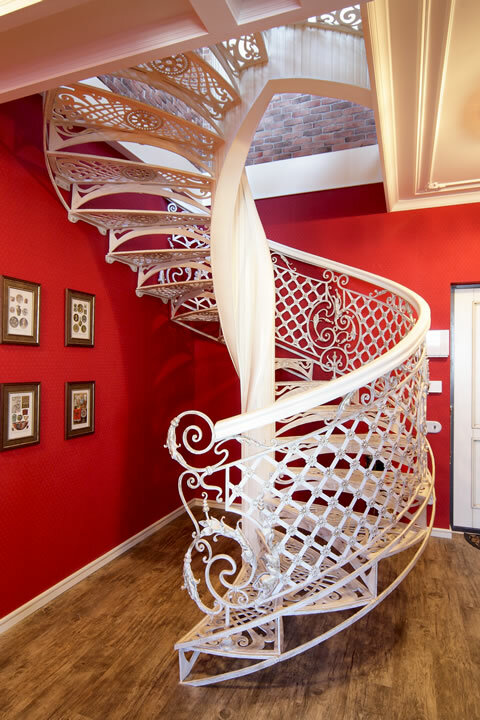 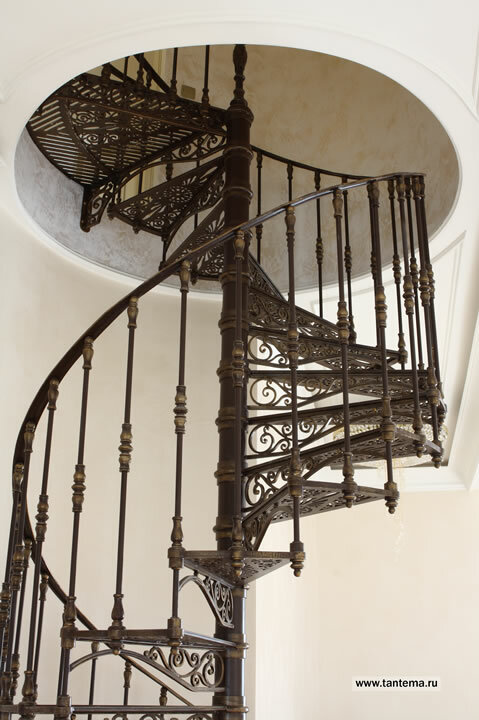 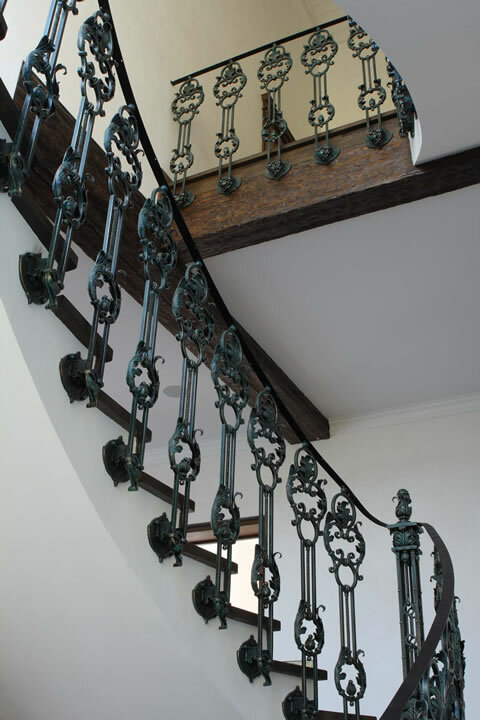 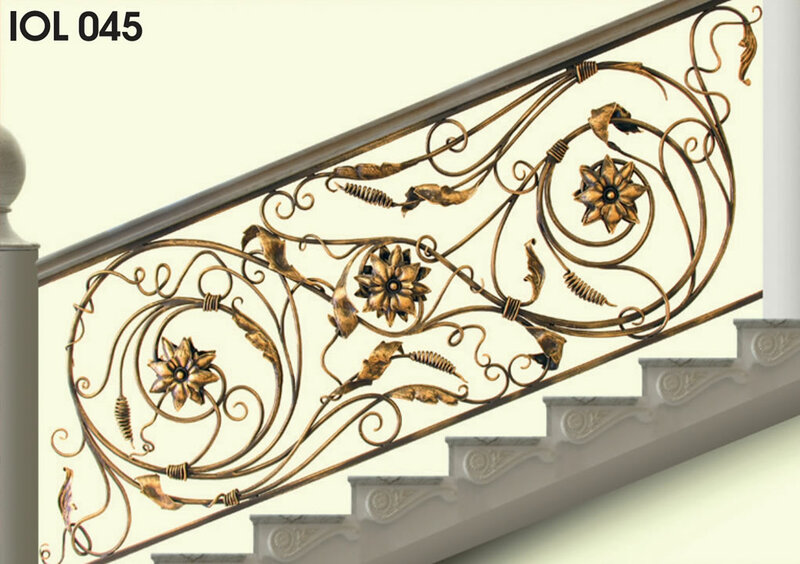 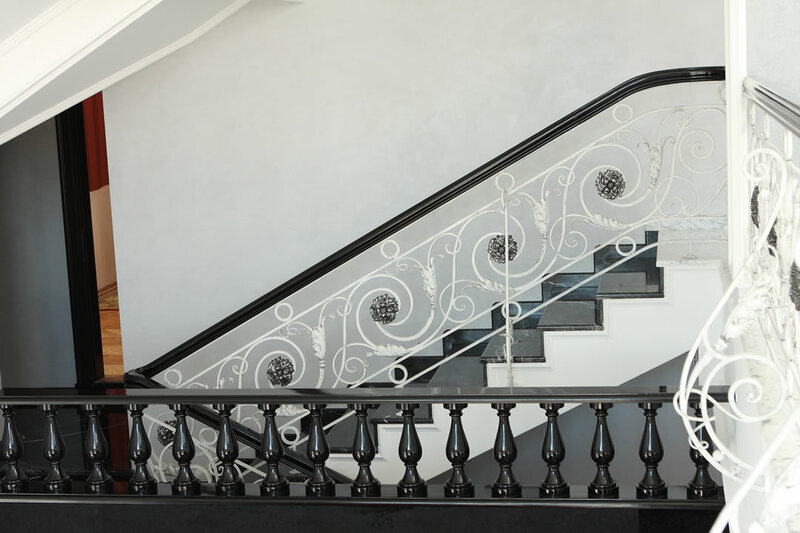 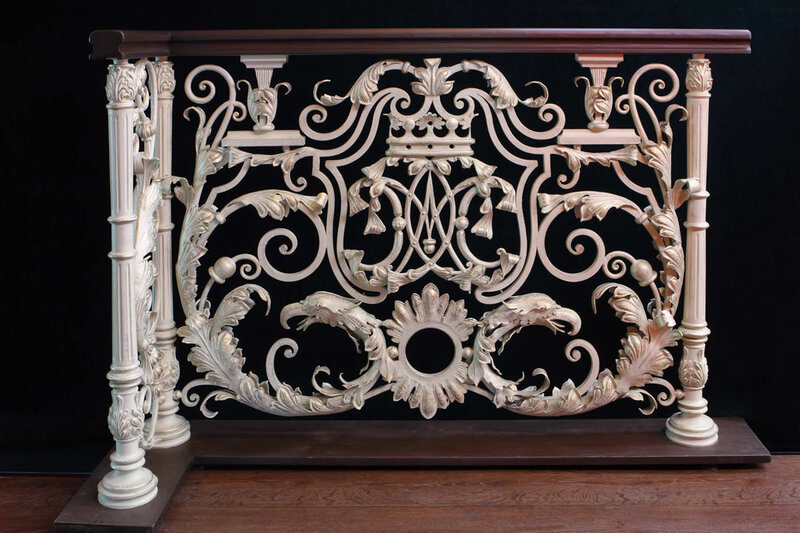 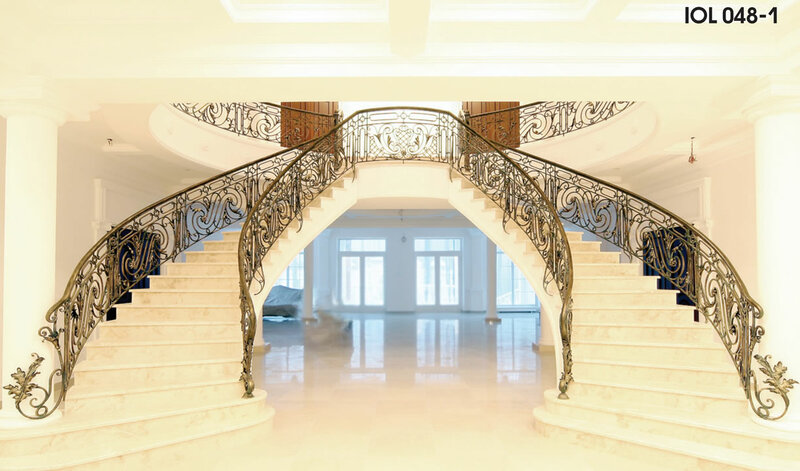 TO A LARGE EXTENT THE PRICE OF STAIRS AND RAILINGS DEPENDS ON THE COMPLEXITY OF THE PATTERN - THE TIME AND EFFORT SPENT BY OUR BLACKSMITHS TO THE EXECUTION OF YOUR ORDER. 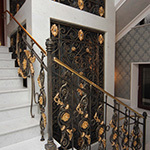 RETURNING TO THE INTERIOR AND EXTERIOR OF YOUR HOME, IT SHOULD BE NOTED THAT WELL IF THEY CONTAIN CO-FORGED ELEMENTS - A FIREPLACE OR LIGHTS, AND WELCOME GUESTS AT HOME WILL BE FORGED GATES. 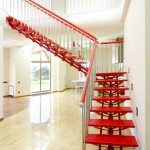 OF COURSE, ALL ITEMS SHOULD BE KEPT IN THE SAME STYLE. 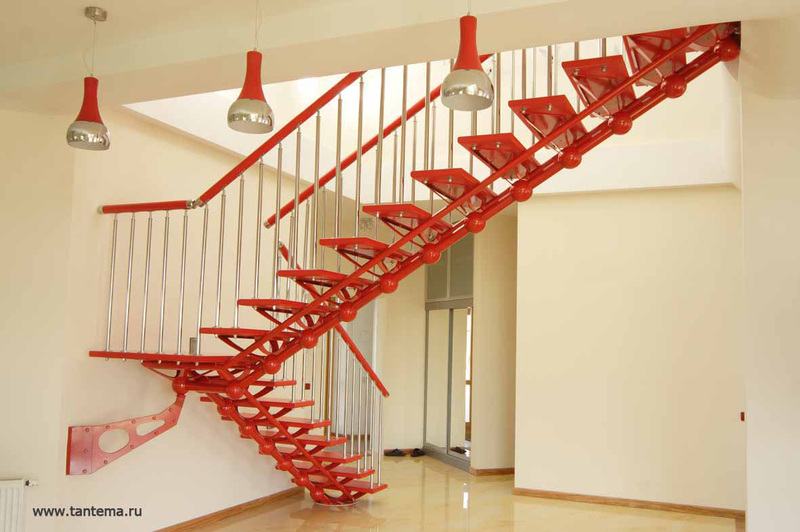 DESIGNERS OF TANTIEMA IS READY TO ANSWER ANY OF YOUR QUESTIONS AND BEGIN TO IMPLEMENT THE ORDER OF ANY COMPLEXITY, VOLUME AND URGENCY. 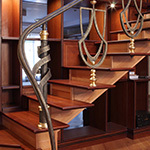 WE ARE PROUD OF OUR STAFF AND YOU WILL BE PROUD TO WORK WITH US. 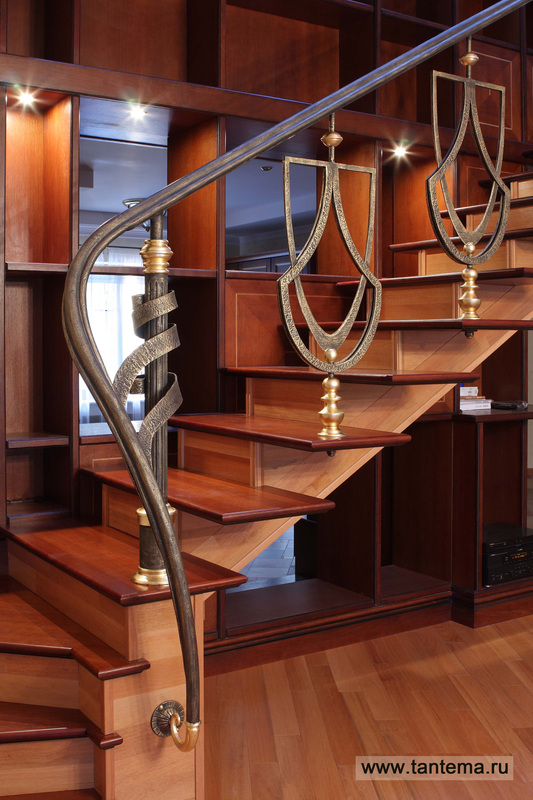 ALSO, YOU CAN NOW BUY FORGED STAIRS AND IN BOSTON.